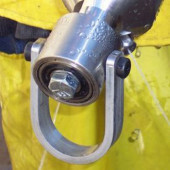 Assembly can be attached to Raptor and BJV nozzles to pull nozzle through pipes..
3/4″ NPT hex head plug with cross hole to install pulling line for line cleaning nozzles. Working pressure up to 15,000 psi. 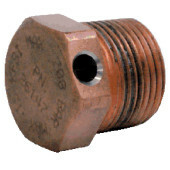 1/2″ NPT hex head plug with cross hole to install pulling line for line cleaning nozzles. Working pressure up to 15,000 psi.